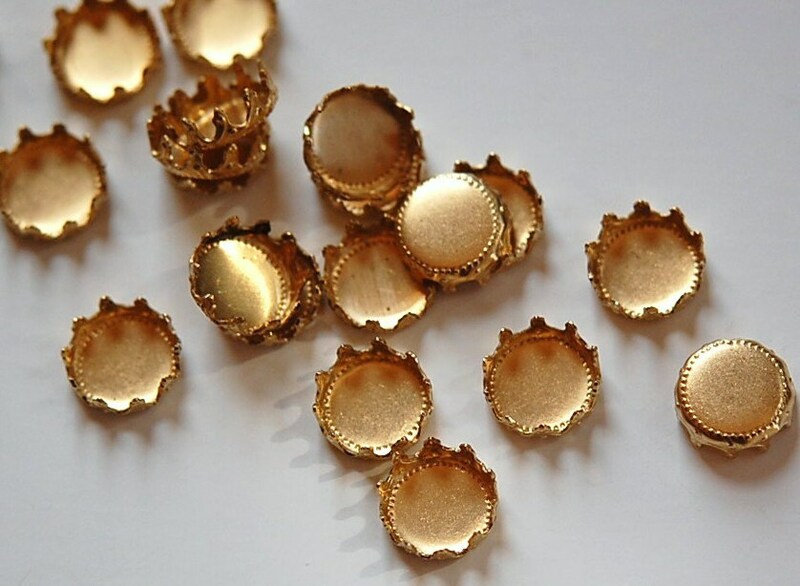 These are raw brass crown edge settings. They can be used with the prongs up or you can bend them down over your stone. These measure a generous 9mm. You will receive 8 pieces. I have these in other sizes. Such loveley and amazing settings, I love them for my headpieces and jewelry! nice color and pretty shapes!